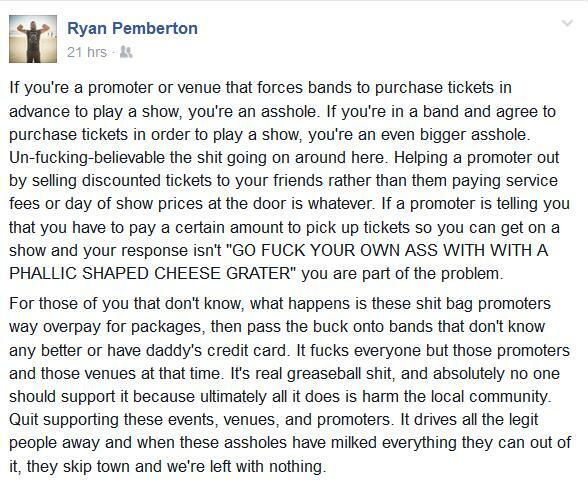 Last night, Orlando promoter Ryan Pemberton posted a rant about bands paying for play. I say rant. Yet, I found his Facebook post very informative. So informative I think more people need to read it. School these suckas, bro. UPDATE: This damned thing done went viral! Recently, Mr. Pemberton has received many Facebook requests. Ryan and I are in Orlando. 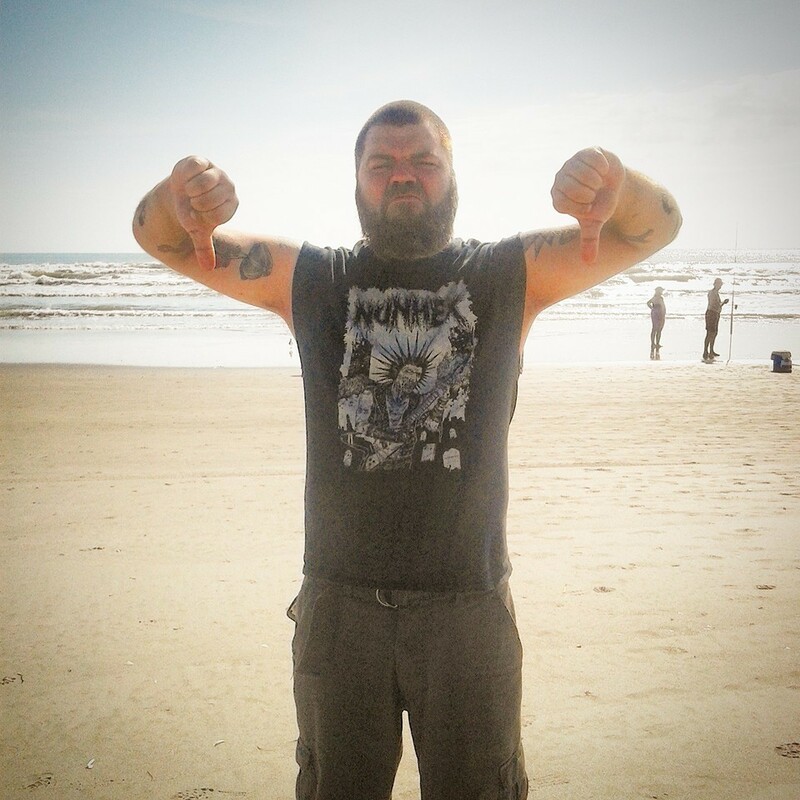 Peter Kissane from Germantown, Wisconsin alerted Ryan to another sneaky game promoters pull with bands. It’s almost the same as pay to play. Yet, this is an updated version of it. Let’s go back to school, kiddies!